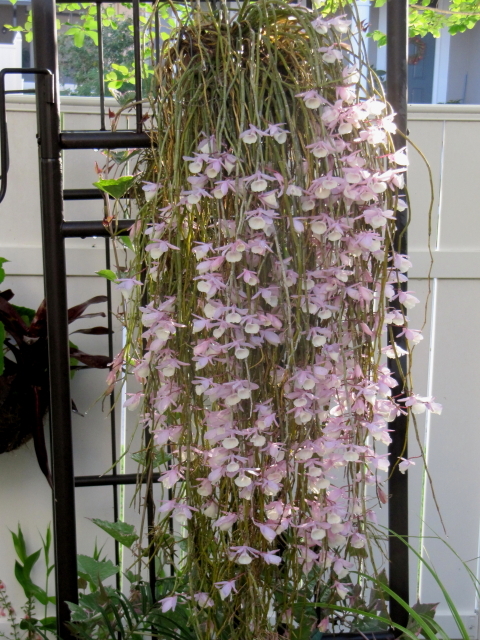 Here is my favorite orchid, the Dendrobium cuculatum (Den. 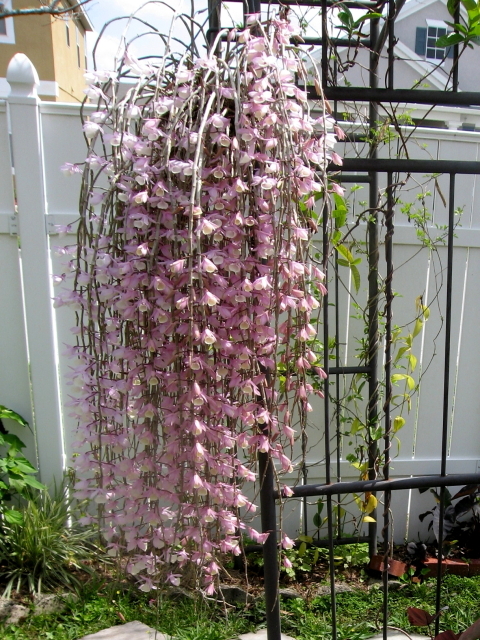 aphyllum), a 4 ft (1.2 m) long flower spring shower! I bought this orchid as a small keiki at an orchid show about 12 years ago and ever since I love it! Yes, this orchid goes deciduous, and before the leaves flush out again in spring, this orchid shows off its flower shower. 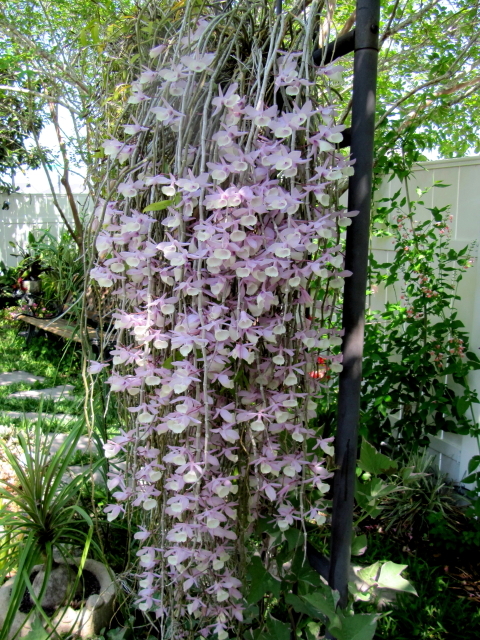 This orchid is not just beautiful all year round, but also very easy to grow, suited well for Central Florida. 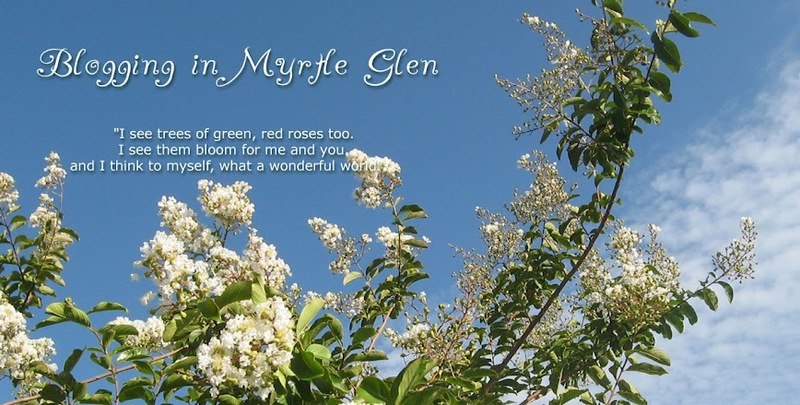 I keep mine under a Crepe Myrtle Tree so the orchid is in shade during the summer, and in the winter months it is in full sun. 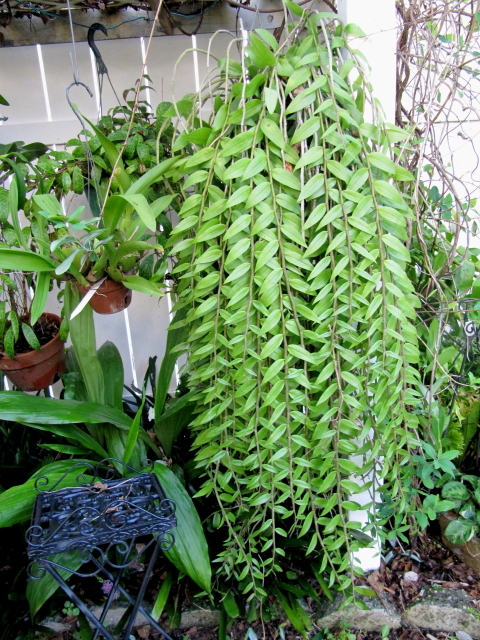 This Dendrobium loves the wet and humid summer months, and wants to be kept dry and cool during winter. I fertilize during summer, but completely ignore it as soon as the leaves turn yellow. 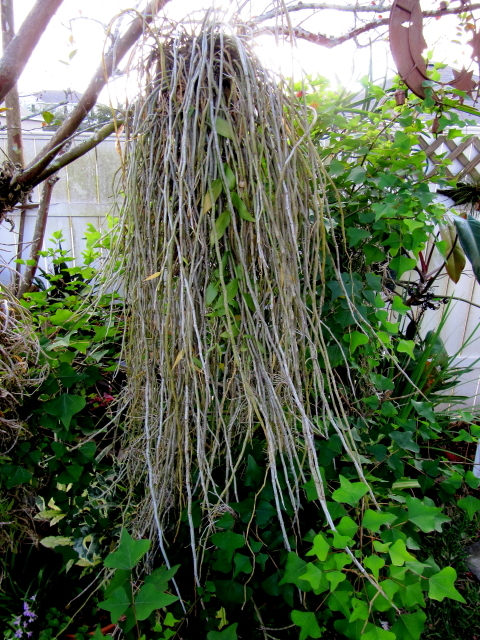 When I notice the flower buds in spring, I start watering again and as soon as the leaves appear I start feeding with orchid fertilizer. Wow !!! So Beautiful ... I must look for this Orchid... Thank you for this wonderful post. This is really Amazing!! Love it. What a gorgeous bunch of flowers...such a great name flower shower! 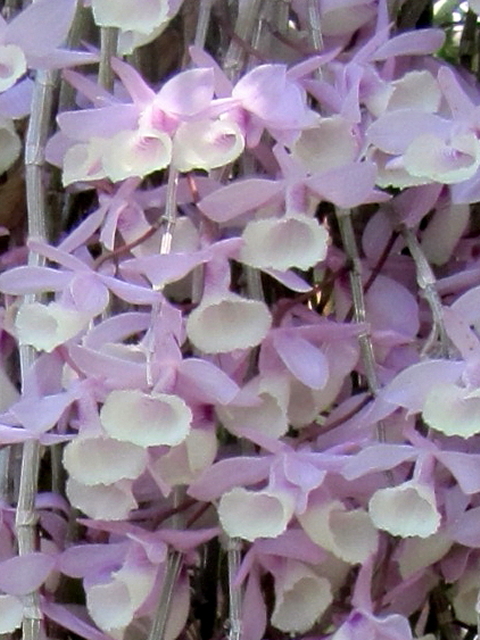 I would love to have this orchid in my garden. Ohhhh, what a beautiful orchid! Orchids could very well become my next addiction right behind daylilies. I've never seen one like yours. Thanks for sharing ... enjoyed your post. aww, I can't believe there is not an orchid to want to grow for you ;-) you just have to find the certain one. this orchid is truly an easy orchid for growing in warm and humid zones, and I don't believe it is hard to find at orchid shows/trades. thank you, I am very proud of this one, and now 2018 I still have it happily growing in my garden.